Marine Corps Gen. John Kelly is commander of the U.S. Southern Command, or SOUTHCOM, charged with responsibility for the Caribbean Sea and all lands south of Mexico. It isn’t the first time Kelly has sounded the alarm. In testimony before the Senate Armed Services Committee in March, Kelly complained that budget cuts in recent years have handcuffed the military’s ability to shut down many drug and human trafficking corridors. “Last year, we had to cancel more than 200 very effective engagement activities and numerous multilateral exercises,” Kelly said, explaining that a full 74 percent of “actionable illicit trafficking events” simply go unanswered, because he doesn’t have the funds or resources to do anything about it. Worse yet, he continued, with smuggling routes wide open for business, it’s far more than cocaine or children seeking a better life getting a free pass across the border. SOUTHCOM’s intelligence assets reveal the possibility is far more than just crying wolf. 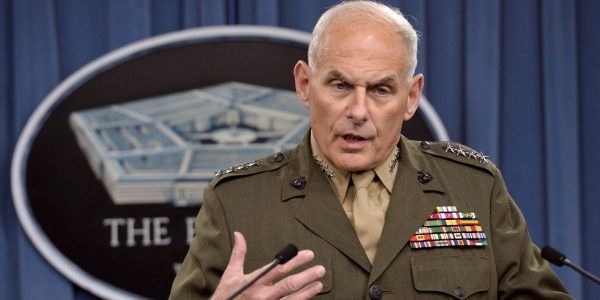 As America’s top military eye on Central America, Kelly is also warning that the recent spike in illegal immigrants moving from countries like Guatemala, El Salvador and Honduras across the U.S. border presents another level of threat. Those three countries, he noted, are all among the Top 5 nations worldwide in homicide rates, in part because of their rampant gang activity. And between rampant drug trafficking and human trafficking of Central American youngsters, Kelly warned Congress, cartels and gangs that have already spread throughout the U.S. will only grow more dangerous. “Chairman, gone are the days of the ‘cocaine cowboys,’” Kelly testified. “Instead, we and our partners are confronted with cocaine corporations that have franchises all over the world, including 1,200 American cities, as well as criminal enterprises like the violent transnational gang Mara Salvatrucha, or MS-13, that specialize in extortion and human trafficking. “The FBI has warned that MS-13 has a significant presence in California, North Carolina, New York, and northern Virginia, and is expanding into new areas of the United States, including Indian reservations in South Dakota,” he concluded. 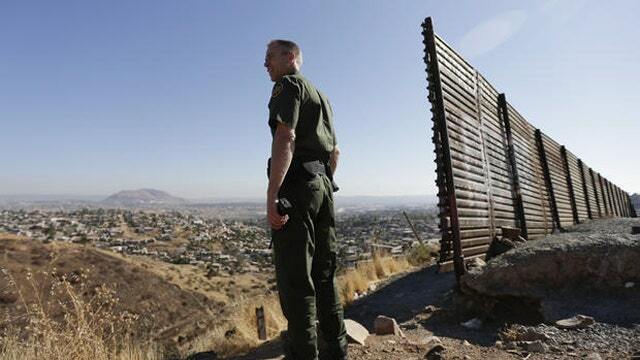 Roger Noriega, an American Enterprise Institute fellow and former assistant secretary of state for Western Hemisphere affairs during the George W. Bush administration, was quoted last month in the Washington Free Beacon putting a fine point on how gang activity and arms smuggling could create problems not just along the border, but anywhere in the country. “There’s going to be a time when MS-13 fires an RPG into an Alexandria [Va.] police car, and [Americans] are going to say, ‘What the hell happened?’” Noriega said. Kelly concluded his appeal before the House Armed Services Committee by arguing the U.S. needs to call upon and equip the military to protect our southern border, now more than ever.